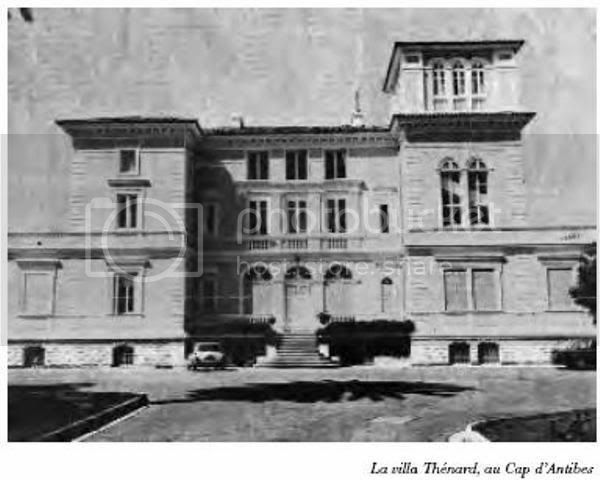 The villa Thenard is located on the Boulevard du Cap on the top of the rise of Paris (same place of villa Thuret). It was built by Baron Louis-Jacques Thenard, born at Louptière (Aube) in May 4th, 1777. Farmer’s son, he went to Paris with two friends with only a few pennies in his pocket in order to make medical school. For a living, he was hired in the general laboratory chemist Nicolas-Louis Vauquelin and immediately developed a passion for research. Finding himself in his employee that he appreciated the intelligence, he made him his assistant. Thanks to the protection of Vauquelin, Thenard obtained various teaching positions. In 1799, the Interior Minister Chaptal ordered him to quickly find a formula that can replace the blue ultramarine made from lapislazuli, far too expensive but necessary to Sèvres, he made it in a month: it was the blue cobalt or blue Thenard. In 1802, Vauquelin gave him his place at the Collège de France. He invented many products including hydrogen peroxide, bromine. His name was given by the mineralogist Casaseca anhydrous sodium sulphate and thenardite. He was a professor at the Sorbonne, College de France, invested with the title of baron by King Charles X November 19, 1825, and was made a peer of France November 11, 1832. Knight of the Royal Order of the Legion of Honor since 1815, he was raised to the dignity of Grand Officer in 1842. Having amassed a large fortune he built at Cap d’Antibes, near the villa of his friend Gustave Thuret, this large villa in which he liked to come to rest. He died in Paris June 21, 1857 at the age of 80. His name inspired Victor Hugo in Les Miserables for Thenardier. Indeed, Hugo campaigned to get 16 to 10 hours duration of child labor often confronting the Baron Thenard who was firmly opposed.